Posted January 24th, 2018 | Category: Replay Video Capture, Stream & Save. The Super Bowl LII matchup is set and we’re counting the days until the chosen teams duke it out for the championship title. The Philadelphia Eagles and the New England Patriots will be gracing the field together for the first time in over a decade. In fact, this will be the Eagles’ first revisit to the Super Bowl since 2005, when they were bested by the Patriots. Will this be their chance for vindication? Keep in mind that the Patriots currently hold five wins, and this year, are making a record 10th appearance at the Super Bowl overall. That’s a first for any other team out there. On the halftime schedule, Justin Timberlake will be taking the stage to promote his new album. Other musical acts on the roster include Pink singing the National Anthem, and “Hamilton” star and Tony-award winner Leslie Odom Jr. will sing “America the Beautiful” during the pre-game show. Super Bowl LII will be aired live from the U.S. Bank Stadium, Minneapolis, Minnesota on February 4, 2018, starting at 3:30pm PT / 6:30 p.m. ET. NBC will broadcast this year’s Super Bowl, with Al Michaels and Cris Collinsworth on the call and Michele Tafoya reporting from the sidelines. You’ll also be able to stream the game on NBC Sports Live for every last touchdown. Super Bowl viewers can record the live stream of Super Bowl 52 from NBC Sports Live with Replay Video Capture, saving every last pass, touchdown, instant replay and incredible halftime moment to watch again and again. Replay Video Capture is the only way to legally record the Super Bowl, so you can capture all the action, amazement, and entertainment without a care in the world. Posted January 25th, 2017 | Category: Replay Video Capture, Stream & Save. With only two teams finally left in the running, we’re counting down the days to Super Bowl 51! The Atlanta Falcons will be moving forward from the NFC to go head-to-head with the New England Patriots. No matter who you’re rooting for, experts agree that any Super Bowl matchup is going to put on quite the show. And, with Luke Bryan singing the national anthem and Lady Gaga owning the halftime show, it’s an event you seriously won’t want to miss. Cable-ditchers and cord-cutters may be worried about where to watch Super Bowl 51 without a TV, but have no fear! We have the information you need for how to live stream the Super Bowl online this year. Super Bowl LI will be live from NRG Stadium in Houston, Texas on February 5, 2017 starting at 3:30pm PT / 6:30 p.m. ET, and streaming live to connected devices provided by Fox Sports Go for every last touchdown. Over 110 million people are estimated to tune in, either via television or online, making it one of the most highly-watched events of the year. For fans who want to get as close as possible, Fox also recently announced that it plans to introduce a new feature, Be the Player — using Intel technology and cameras all around the stadium — that will allow viewers to check out instant replays from a reconstructed, first-person perspective of the players themselves. Super Bowl viewers can record the live stream of Super Bowl 51 from Fox Sports Go with Replay Video Capture, saving every last pass, touchdown, instant replay and incredible halftime moment to watch again and again. Replay Video Capture is the only way to legally record the Super Bowl to record the Super Bowl, so you can capture all the action, amazement, and hilariously elaborate commercials without a care in the world. Posted February 3rd, 2015 | Category: Applian Software, Replay Video Capture. The NFL is also drastically overstating its case when it comes to actual copies of the game or pictures coming from it. 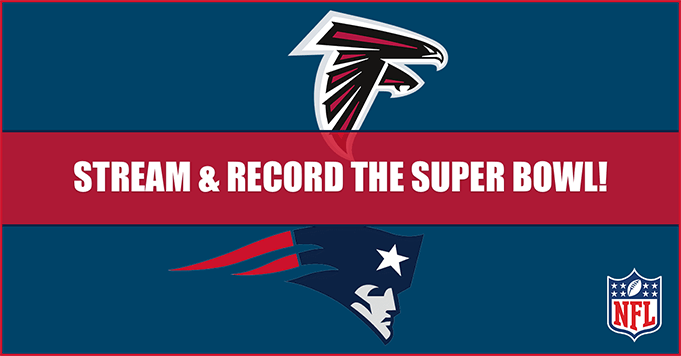 You can record the Super Bowl. It’s been undeniably, unquestionably legal since 1984 that you can record the broadcast to watch later (and skip commercials, if you’re so inclined). And the fair use doctrine that allows you to do this also lets you use those recordings for other purposes, too. If you want to use clips for commentary or criticism or news reporting of some aspect of the game or the broadcast, that’s perfectly legal, too. So don’t fear, Applian friends. Go ahead and get your Super Bowl re-watch on. Oh, and if you missed all of the advertising action because of the NBC stream, we highly recommend that you check out this full recap of the multi-million-dollar spots. Posted January 26th, 2015 | Category: Applian Software, Miscellaneous, Replay Video Capture, Video. What a season of football! And it’s all about to end in a week with the Super Bowl. Specifically, a game between the New England Patriots and the Seattle Seahawks. If you’re like us then you aren’t just watching it for the end score, but also for the halftime show, the expensive commercials, and the pre-game commentary. Now, you don’t even need to watch it from the ugly jumbo TV in that noisy pub you hate, you can actually stream it LIVE on your PC through NBC. Which also means that you can record all of the spontaneous action and hilarity with your copy of Replay Video Capture 7. In fact, one of our favorite parts of watching the NFL is pretending we’re the Bad-Lip Reading folks and coming up with our own witty quips in the mouths of 200+ lb. athletes. If you record and capture the game on February 1st, you can even make one for yourself! And just in case you missed it, they released the new NFL Bad-Lip Reading 2015, so be sure to check it out below for inspiration. Oh, and don’t forget to grab Replay Video Capture before kickoff on Sunday!